Kingdoms of Amalur: Reckoning takes place in a fictional region called Faelands which is one of the Kingdom of Amalur. There the immortal Fae of the Summer lives, but immortality means only that after death you will become something else in another body. There are five different regions of Faelands and four playable different races with three different class trees. The player starts as a "Fateless" being before the choosing between three classes. 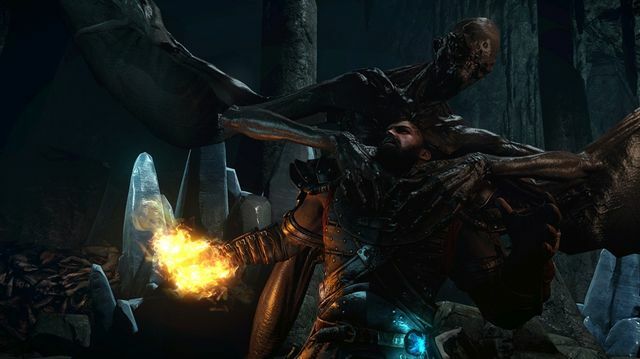 The combat of the game is timing based and similar to other action-role-playing games with addition of QTE elements during cutscenes. 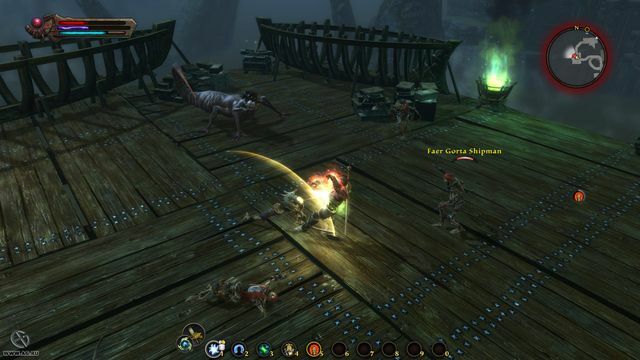 While in combat, player gains fate points and with required amount of them player can enter Reckoning Mode, which is a slow-motion berserk-like mode which lets player to quickly kill all the enemies. Not only a player has the ability to jump or swim on the water, but also can communicate, rob or kill NPCs, which has its consequences. 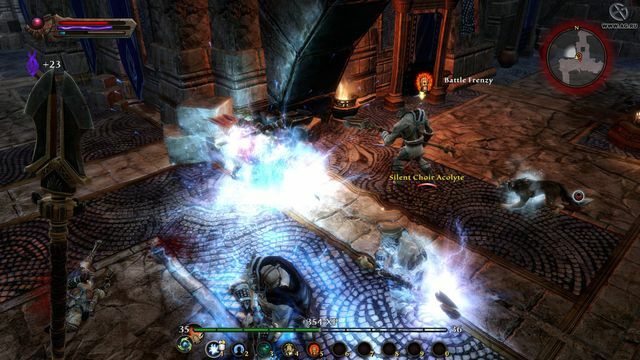 It is said that Kingdoms of Amalur: Reckoning mixes up ideas from games such as God of War and The Elder Scrolls series. A new video on YouTube was added to Kingdoms of Amalur: Reckoning. 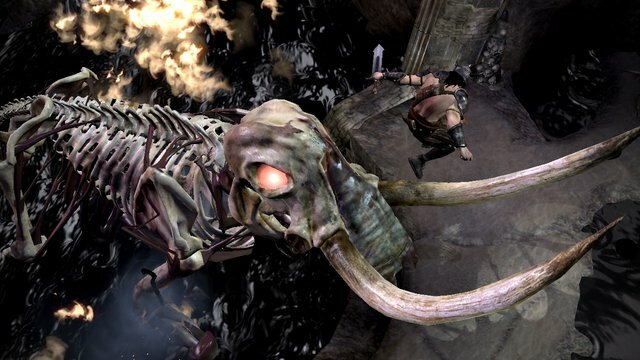 Kingdoms of Amalur is one of the Games unauthorized Hardly anyone knows. Even I only got to know the Game over several Corners. Unfortunately, it hasn't been courted so heavily as it's a really very good Game that has captivated me for hours. Of Course, you can't compare the Game to Dragon Age, The Witcher or the Elder Scrolls series. For that, Kingdoms of Amalur feels too "different." But in what it does, it feels fully right. After all, the Game is not fixed at any fixed Class. There are 3 Talent Trees that clearly declare Warriors, Magicians and Villains, but you don't have to commit to any of this in detail. 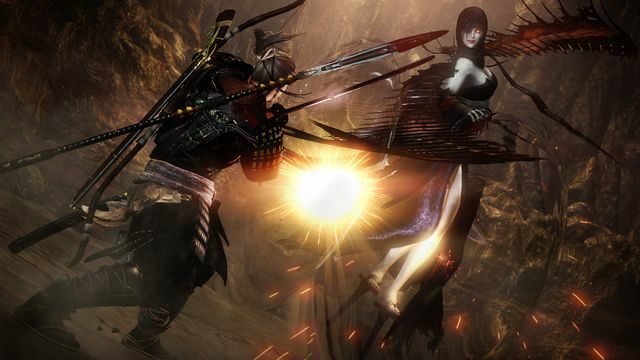 You can also create Hybrid Classes, which, however, feel relatively difficult for the first time Playing. In itself, you can also vary a lot in the set classes themselves, as each Class has three different Types of Weapons that also feel very different in Combat. In terms of Gameplay and Variety, you can spend a lot of Hours playing the Game. You can also invest so much Time in the Game as there is a lot of work to be done. In addition to the Main Quests, there are numerous Side Quests and also factional quest series. Personally, the side and Faction Quests were also a lot of fun for me. A lot of Effort has been put into it to put everything in good spirits. A lot of Quests seem comprehensible and tell a little Story in themselves, which is usually very interesting. The Skin story itself is a bit confusing at first. You finally wake up on a Morgue and you are told that you have been reborn. Everyone rejoices in this, because now, through your Rebirth, you have no Destiny and therefore you can save the Country whose destiny it is to perish. Everything Sounds very confusing and strange at the Very beginning, but as the Game progresses you become more and more enlightened. Unfortunately, it has to be mentioned that Kingdoms of Amalur has a rather tedious Start. You don't understand anything the first three Hours and it doesn't feel like it's going ahead. But it's really worth grazing all that off and then starting into the Game. The Main Story itself was lost again and again (I always did every side quest First). Nevertheless, it was always easy to get back into the Main Event, which becomes more and more interesting as the Game progresses. I also played the DLCs for the Game. The Purchase of those is definitely worth it. First Of all, the Settings of which are different and very interesting and you have a different Story for 10 Hours each, which is also told very well. The only thing I have to complain about in the Game is the Menu guide. Forget this terrible Menu from Skyrim. Kingdoms of Amalur tops that by lengthwise. So things like Items will sell That you don't need, to a far too time-consuming Thing. Of course, Metering is at a very high Level, but I found it very tedious to pack all Items into Plunder, switching from Sub-menu to sub-menu. Finally, I can really recommend the Game to anyone who is into time-consuming and complex action Role-playing games. Kingdoms of Amalur is a very good Surprise Title that you don't have on your Screen, but where every single Penny pays off.